Romance and Nail Polish – Escape Reality, Read Fiction! It turns out that some things are recession proof. And that some attitudes don’t seem to budge, no matter how dated they are. Time Magazine has a list of 12 Things We Buy in a Bad Economy. The Number 1 thing on that list: Romance Novels! Are you surprised? I’m not. When the world goes to hell in a handbasket, people look for escape. And paperbacks are a cheap escape. Romance novels, with their guaranteed happily-ever-after, make for a terrific escape from reality. The statistics Time Magazine quotes say that romance sales were flat until 2009, then started booming when the recession set in. I wonder about what they counted as “romance”. I know romance sales are up, but were they flat before 2009? Paranormal was definitely on the rise before 2009, and is still climbing. But paranormal is a different type of escape since it’s a world where magic works. Number 3 on the list is nail polish. 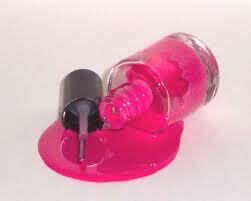 What does nail polish have to do with romance novels, or the recession? The list is about small indulgences, things that can be purchased to give a person a small lift in the spirits without breaking the budget or feeling guilty later. A $7.99 paperback romance can do that. A $3.99 ebook romance does that even better. My mom grew up during the Great Depression. You know, the one in the history books. 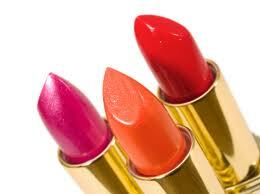 She says that women always bought lipstick. A tube lasted a while, and putting it on always made the person feel better. The same thing is true today, except now it’s nail polish instead of lipstick. It’s a relatively inexpensive indulgence that makes a lot of people feel better. If you’re wondering what came in at number 2, it was donuts! I have suspected that there was an increased sale of romance novels. For me one of the clues was the number of re-issues that have been appearing lately. It is like there were not enough new issues so publishers were resurrecting older books to met the demand. Oh yes! And the ebook market has opened up all kinds of opportunities. It’s relatively inexpensive to bring out an author’s entire backlist as ebooks without having to deal with print runs, warehousing, shelf space, etc. And every niche has a market, so hot romances have a place, and the older sweet titles have a place too. Everyone wins, especially the readers! My mother told me several times that during the [capital D] Depression that the one stock that didn’t go down was the Harlem Snuff Works. I inferred from that fact that vices did well during the Depression. Romance novels…consistent with that theory or not? You be the judge. My mom says that the other things that did well were the ones that people couldn’t do without. So grocery stores and funeral homes. Also nylon stockings, but times have definitely changed on that one. Which leads us back to grocery stores and funeral homes. That’s just too funny! 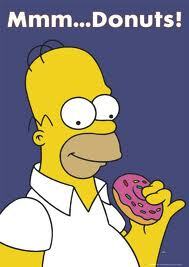 Homer is everywhere. And everywhen.